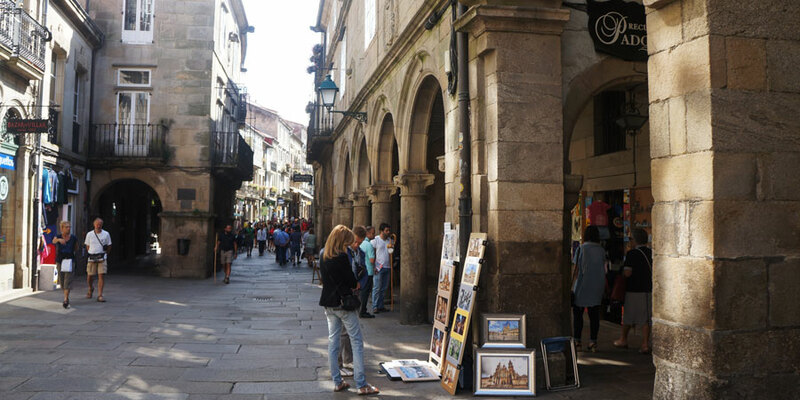 Santiago de Compostela is not just the final point of the Camino de Santiago, it is a fantastic place to explore, wandering around its alleys and quaint granite streets. It is quite pocket-sized too, so make sure you dedicate at least a couple of days to soak in the city’s vibrant atmosphere. As some Galicians say, more than a city, Santiago is a ‘big village’. 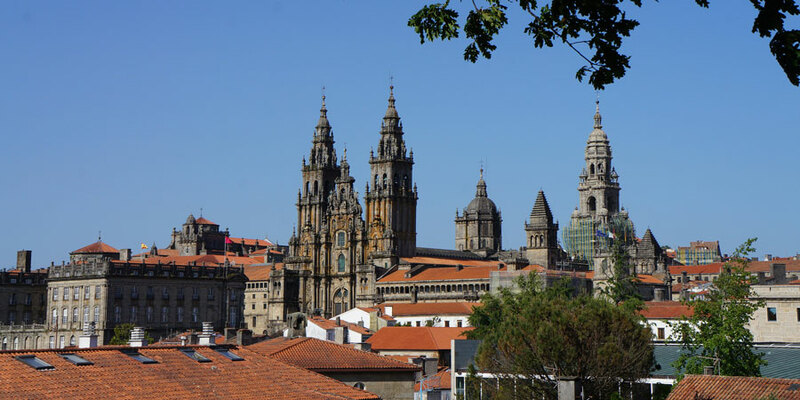 The city population is just around the 100,000 mark but with nearly 40,000 students settling there for the academic year and thousands of pilgrims walking into town every year, Santiago de Compostela gets a very special mix of people. Personally, I think Santiago is a great city but I’m obviously biased. I lived in Santiago (or ‘Compostela’) for four years while studying at the city’s University (one of the oldest in Europe by the way, founded in 1495) and the mention of Santiago always gives me a warm excited feeling. I still have many great friends living in Santiago. That’s the thing: many of the students arriving in Santiago for four years end up never ever leaving… for such a small place, Santiago can make quite a big impact on people, whether pilgrims, visitors or students. If you have walked all the way to Santiago de Compostela, your first stop is likely to be the Praza do Obradoiro with its imposing Cathedral, where the remains of Saint James are (allegedly) buried. The cathedral is Santiago’s most famous building with a Romanesque structure and later Gothic and Baroque elements. At the Cathedral, check out the Pórtico da Gloria (the original Romanesque porch entrance by Mestre Mateo), the Botafumeiro (its giant thurible) and, if you are not scared of heights, take a guided tour of the Cathedral’s rooftop to enjoy fantastic panoramic views of Santiago (they run every day from 10am to 8pm and it lasts one hour approximately). The New Town isn’t much of a sight, mostly apartment buildings housing the student population, but you will also find shopping areas, good bookshops, as well as restaurants and bars. Rúa do Franco goes all the way to the Obradoiro Square and takes its name after the French pilgrims that used to follow this street to get to the Cathedral. With adjacent Raíña, this is the most famous street to go out for a few drinks with friends. Many bars and restaurants along the Franco display their octopus, shellfish and other Galician delicacies on their windows (vegetarians beware!) and most offer a free bite with each drink: croquettes, tortilla or even tiger filet (not really tiger meat, by the way). After a few wines with their bites, you probably won’t need any dinner, but if you are still hungry, you can always order a few dishes to share. ‘Bonaval’ for short, is another popular park in Santiago de Compostela. Bonaval sits on the grounds of a Dominican convent’s old cemetery and has been re-invented into a secluded public green space by Portuguese architect Álvaro Siza. Next to Bonaval you’ll find two of Santiago’s best museums: the CGAC (Galician Contemporary Art Centre) in a modern building also by Siza and the Museum of the Galician People (Museo do Pobo Galego) in the former convent. 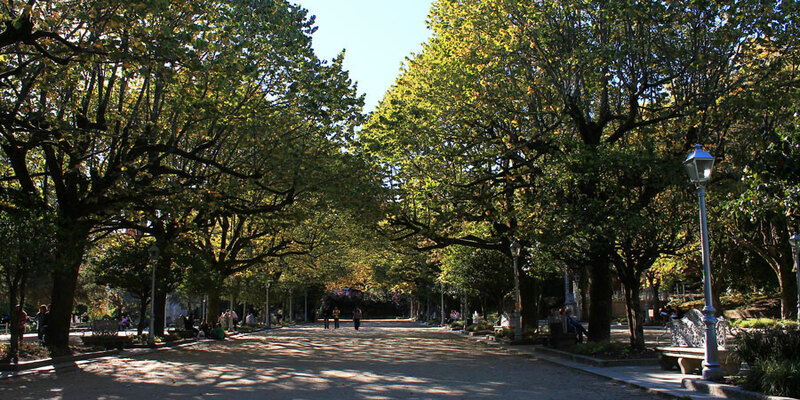 Bonaval is loved by visitors and locals, who like to enjoy a good book there or just relax under the shade of the oak grove (carballeira) on a hot day. Santiago’s food market has a rural chic feel: traditional stores run by ladies from surrounding farms mix with stylish stalls. Modernity and tradition really live in harmony in the Abastos area, with exciting new restaurants also opening their doors in recent years. Here you will find some of Galicia’s best produce. Santiago has a very active cultural life: from poetry recitals to concerts big and small, galleries, exhibitions, museums, theatre, etc…there is always something to fulfill your cultural ambitions. Many pubs and cafes also have their own cultural activities. 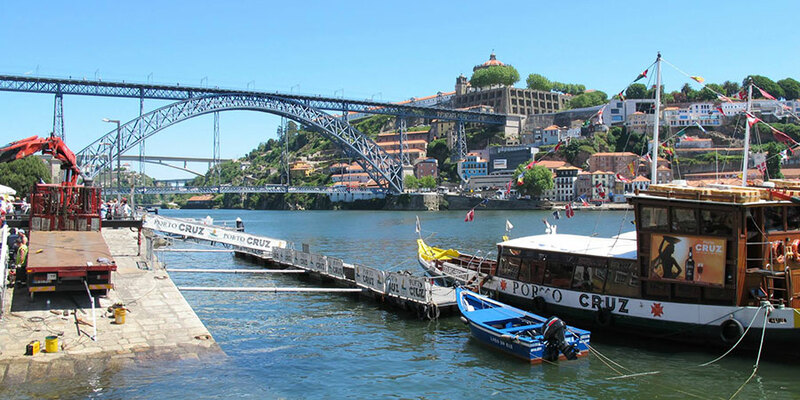 Festas da Ascensión in May and Festas do Apóstolo in July (celebrating Saint James Day and Galicia’s National Day) are the main celebrations in Santiago, with outdoor concerts and many other events taking place, some of them free of charge. However, there are many more festivals in and around the different neighbourhoods in Santiago. Before you travel, check out the Santiago Turismo website, local tourist board, to see what’s coming up in Santiago. You can’t leave Santiago (or Galicia) without trying the land’s most iconic dish: octopus. The Galicians call it octopus fair style (‘pulpo á feira’) as it used to be a dish eaten on market day; while Spaniards like to call it octopus Galician style. Whatever your choice of words, you must try it at least once before you go back home! 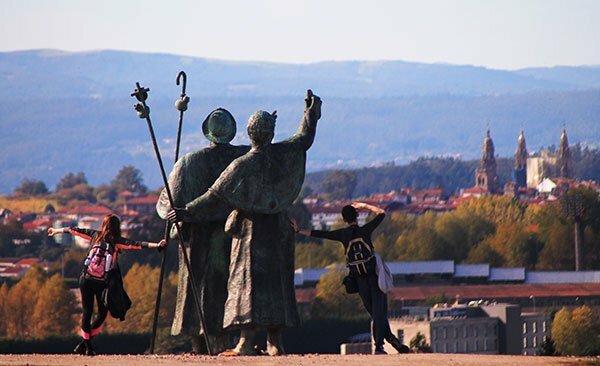 Although all routes lead to Santiago if you only have a short time to spend on the Camino there are some popular starting points that will allow you to finish in this stunning city: the last section of the Camino Frances, the English Camino and the last week on the Portuguese Camino are trails to consider. Hi Berkan, thank you very much for getting in touch. 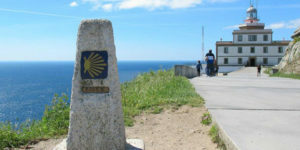 We have a few interesting blogs that would be useful and also a Camino food ebook that is free to download, see here: https://caminoways.com/experience/download-camino-ebooks/camino-food-ebook. These are some of our favourite restaurants in Santiago: https://caminoways.com/restaurants-santiago-de-compostela. Enjoy! Could you share famous dishes we should try? It can be anything. And also restaurants bar..etc we should visit? Hi Diana, there are a few different companies offering cookery classes. Indeed, pulpo is one of Galicia’s most traditional dishes so you will be in the best place! Hi, are there any cooking schools. Would love to learn how to prepare pulpo and other local dishes. Is this the main region in Spain for pulpo? Dear Alison, thank you so much for getting in touch. Our Customer Care team will be in touch with some details, itinerary, cost, etc… for your Camino 2018. Hi. 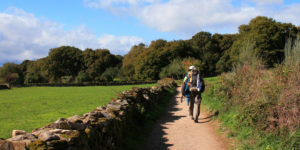 Could you please send me details for a 6 days walk from Sierra in end April next year. Please send me details as to cost, hours walking and if we will be in a group etc. thank you.